Sponsor: I want to thank one of our sponsors for this week’s episode, Cast Away and Folk, a modern yarn, sewing & weaving shop in Historic Railroad Square in Santa Rosa, CA. Cast Away and Folk makes their home in a turn of the century large brick loft, that inspires you as soon as you walk through the doors. The three owners, Justine, Leslee and Isla and their experienced team are so welcoming and there to gel you choose your next project or find just the right fiber or fabric you’ve been looking for. They offer a wide variety of great classes and workshops covering sewing, knitting, weaving, felting, embroidery and more. Make sure to visit Cast Away & Folk online at castawayandfolk.com or in person when in Santa Rosa. You can also find them on Instagram @castawayandfolk. Fiber folk: When someone’s name continues to come up in conversations, you start to get the hint that maybe you should get to know said person…well Daphne Marinopoulos is one of those people. After a few months of aligning schedules and rural internet bandwidth, we were finally able to sit down and have a talk, and it spoke to me in a special way…much of that conversation you’ll hear here today. From flight instructor to foreign service officer to fiber mill owner and creator of The Fibre Company, Daphne has had a pretty incredible journey, and one highlighted by a life of fulfilling her creative passion and destiny, something I know many of us seek and aspire to do. 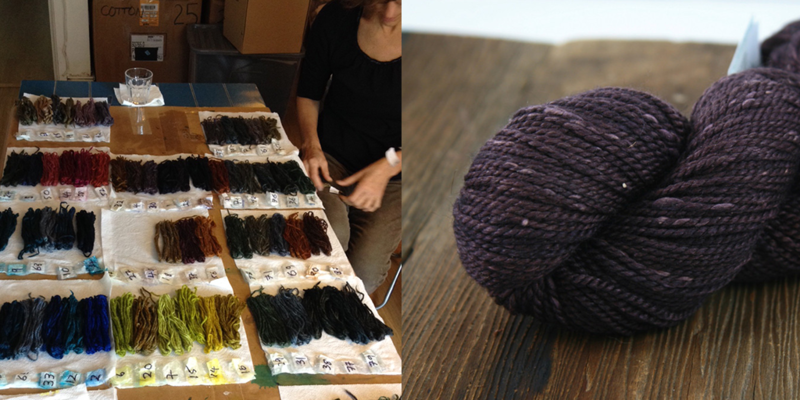 I’ve long admired the quality, composition and obvious care that goes into The Fibre Company yarns, but I never realized the story behind it, until now…and as we all know, the story is everything. You can find Daphne at thefibreco.com. 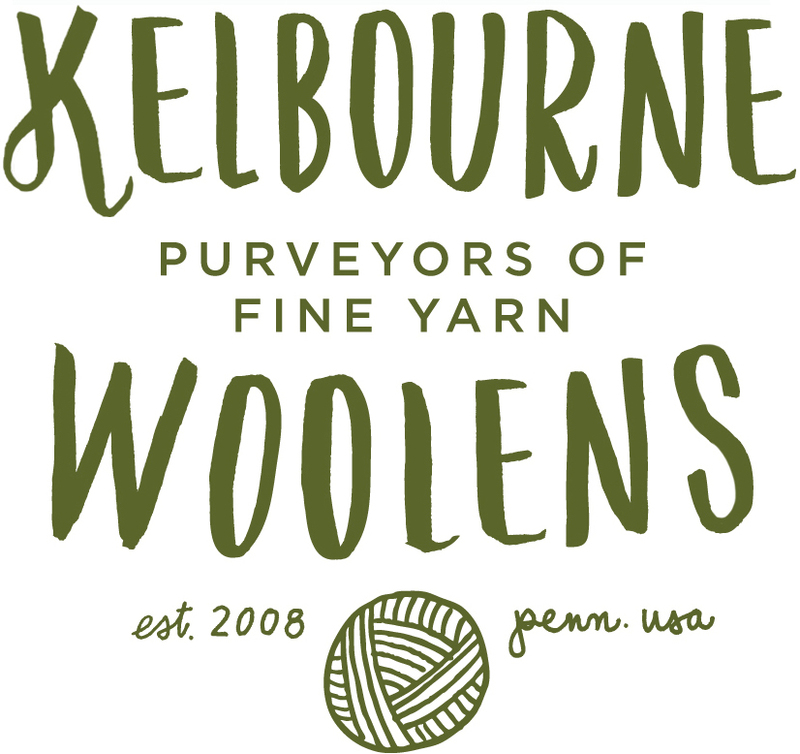 Sponsor: I want to thank our other sponsor for this week’s episode Kelbourne Woolens, a wonderful company built by two passionate women, Courtney Kelley and Kate Gagnon Osborn. Kelbourne itself is unique, serving as the US distributor of The Fibre Company yarns, a design house, author of several books, instructors and makers of their own line of tools and accessories. They focus on modern interpretations of classic designs, and the love of traditional knitting techniques. 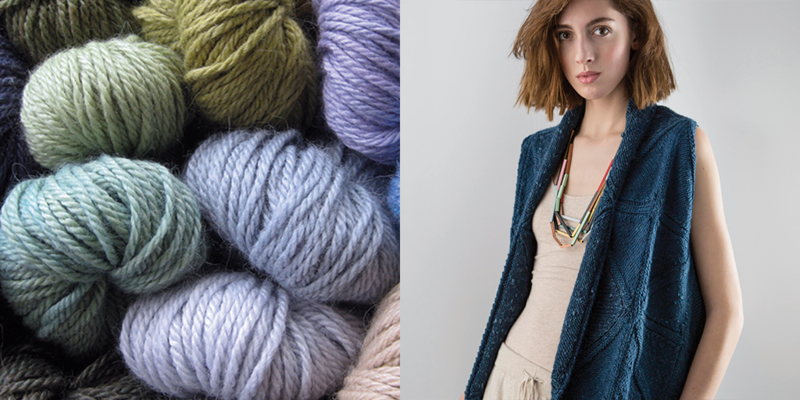 From their shared experiences in fine art, textiles, retail, and knitwear design, they offer an invaluable resource to this fiber community of ours. Look for them this weekend at the Make. Wear. Love. retreat hosted by Amy Herzog in Sebasco Harbor, Maine. 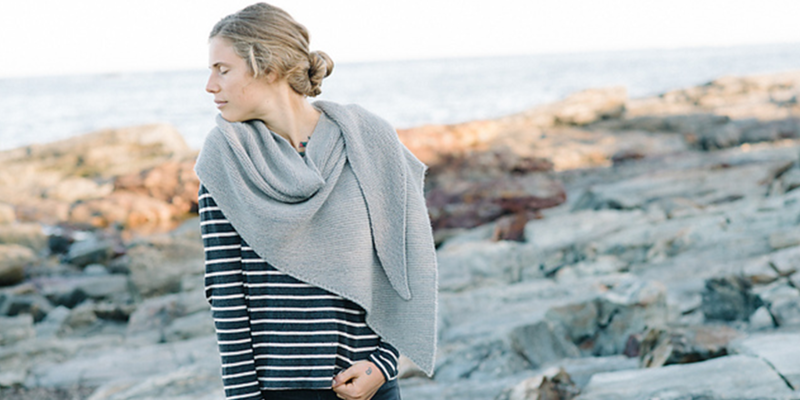 And make sure to visit Kelbourne Woolens at kelbournewoolens.com and on Instagram @kelbournewoolens. 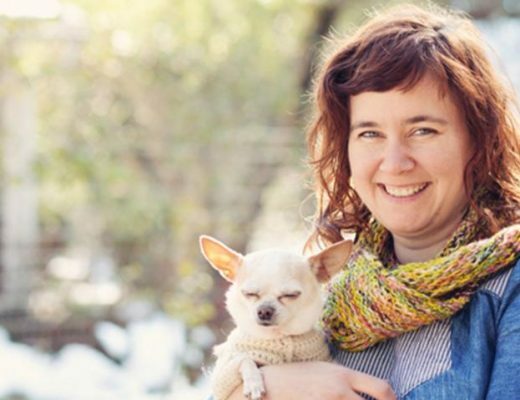 Farmyard Tales: This week we have a funny Farmyard Tale from Angie of Kismet Fiber Works. Giveaway: The winners of last week’s giveaway are, Ann Marie Mullen, you’ve won the mixed BFL fiber from Fiber in the Boro and Rebecca McCoyer , you’ve won 2 skeins of raw silk noil yarn from Shutters and Shuttles. Congratulations! This week’s giveaway is sponsored by Cast Away and Folk, and we’re giving away 2 skeins of Savannah yarn and the Norie Hat pattern by Gudrun Johnston. To enter this giveaway and be one of the three winners, leave a comment on this post. I love the story of this company. I’ve been spoiled by finding Woolful so late in the ‘game,’ and had 27 episodes to listen back to back (which I did, every time I drove my car)… now, waiting for the next episode is …. gah!!!! I will have to start re-listening from episode 1 to fill the gaps! Love all that you bring to the woolie world. So many stories and lessons. Such a lovely story! 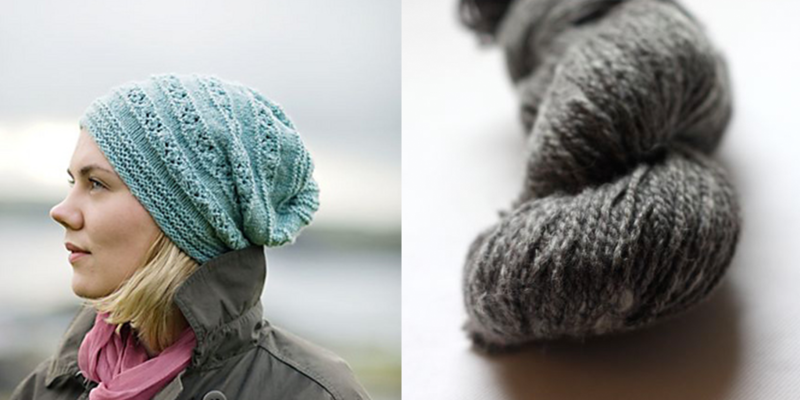 I’ve been wanting to try the Fibre Company Yarns, and now I want to try them even more. Love your podcast. Finally my comment is on time. looking forward to listening to this podcast, I really have appreciated all of them! Love your podcast; it is a step into lives we would never have contact with! Thank you! Hooray for the fiber company, and hooray for my LYS, cast away! Loving the podcast and recruiting friends to listen. Love The Fibre Co though it’s a little hard to find locally. Great episode! I’m so glad I started listening! Beautiful episode as always! inspiring! The Fibre Company is my favorite yarn brand…I love Terra and Acadia especially…just made 3 hats out of different colors of Acadia! Another of your delightful podcasts to listen to! I have several family members living in Santa Rosa. I’ll definitely be stopping by Cast Away and Folk the next time I’m in the area. Thanks for the recommendation! Love this week’s podcast episode too! 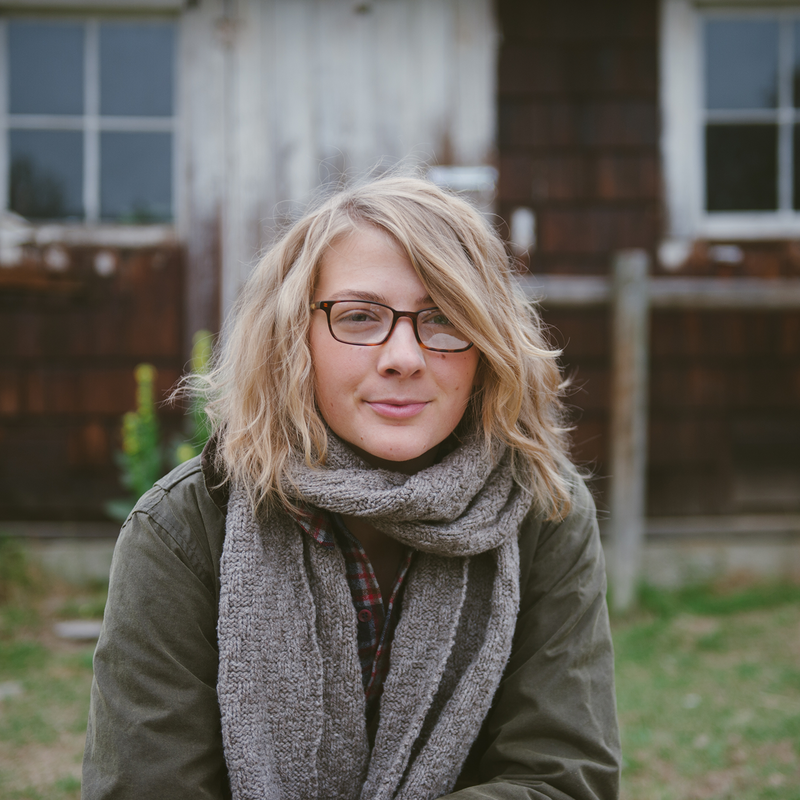 I love her story about traveling around the whole and her beginnings with yarn. Another great episode. Yet another great podcast and giveaway, thank you! Another wonderful story. Thank you, Ashley. Sorry, ignore/delete this post. Hit send too soon. Daphne’s story was a treasure to hear on your podcast. I especially enjoyed her family’s textile heritage and how she has brought it forward. 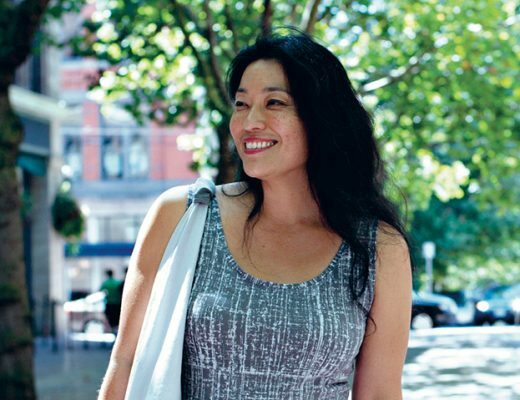 A bright adventurous woman who makes beautiful yarns. I find all of these stories so inspirational. I will remember all of them as I dive into trying to find my place in this very amazing community this coming year. Thank you for bringing these stories to us. Another great podcast! Thank you for the chance to win. What a treat to hear this episode! Thoroughly enjoyed it….. I always love listening to your conversations with all of the amazing makers. It is my weekly injection of inspiration to get me through another week at my day job. Daphne is another example of amazing women doing amazing things. Thank you for sharing! Another great podcast this week! I loved hearing the trials and tribulations and celebrations of Daphne’s growing business. And that hat is adorable – fingers crossed! Another fascinating podcast, thank you Ashley! Gorgeous, as always. Thank you. One of my favourite episodes so far! What a wonderful giveaway. Thank you, Woolful! Interesting podcast. I love Fiber Co. yarn. Another great episode. I appreciated hearing Daphne’s comments about courage. Thanks, Ashley. I met Daphne way back when I first got into this crazy business (crazy in a good way). She was so kind, helpful and inspiring, plus I even saw her awesome mini mill! It was so wonderful to listen to her story and “catch up” with her after so many years. Thank you Ashley and hello Daphne! I loved this episode! I have the Home and Away book and I splurged and got Quince and Co yarn to make one of the Cardigans. It’s not a summer knit, but I am determined to get it finished! I enjoyed listening to this week’s show. It’s inspiring to hear about someone who had a different career and then launched a fiber career. Thanks. 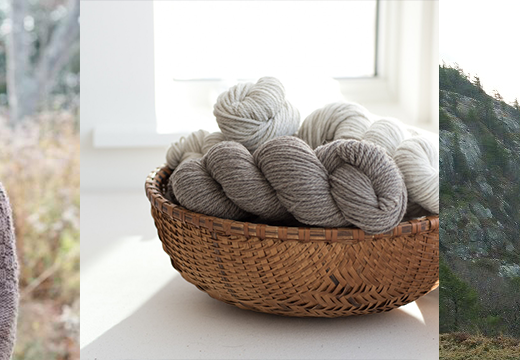 Another great podcast, I am from Philadelphia PA- and love The Fibre Company yarns. Of all of my handknits, my cardigan knit from Road to China Light is my favorite! I really enjoyed listening to this interview. What a fascinating story! Thank you, as always, for such a wonderful podcast. I really love it, and you are inspiring me to consider doing more in the fiber world. I was so inspired by Daphne’s story. I’ve recently left my “safe” career and am trying to figure out my next step. Hearing from someone else who went down a similar path helps me to see a glimmer of future possibilities. Beautiful yarn, great story! Thanks! What an interesting story! 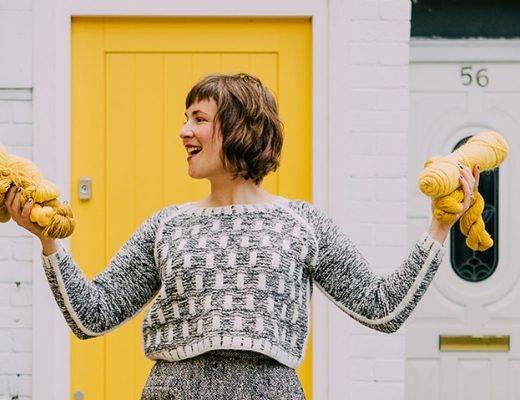 I recently found the Woolful podcast and have already learned so much from the people you talk to. Thank you! 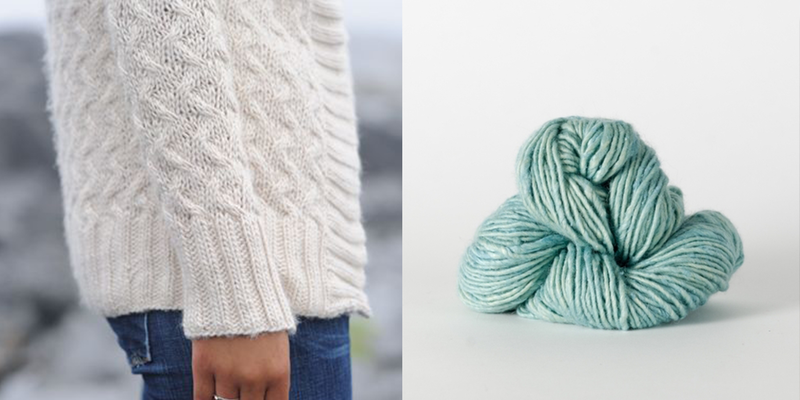 I love the Fibre Company’s yarns, such a delight to knit! So neat to hear the story behind the brand! I have a beautiful skein of Tundra waiting to be knit into a cozy hat! What a great episode! I loved hearing about her (likely unique) career trajectory, and how it circled back around to a childhood love. Great episode! Thanks so much for sharing. fantastic! I love these tales about a long career, especially hearing about how folks balance work, family, and creative passion. thanks! Amazing story- very inspiring. Thank you! I’m making a shawl in Meadow right now and I love it so much. Thanks for a great episode. 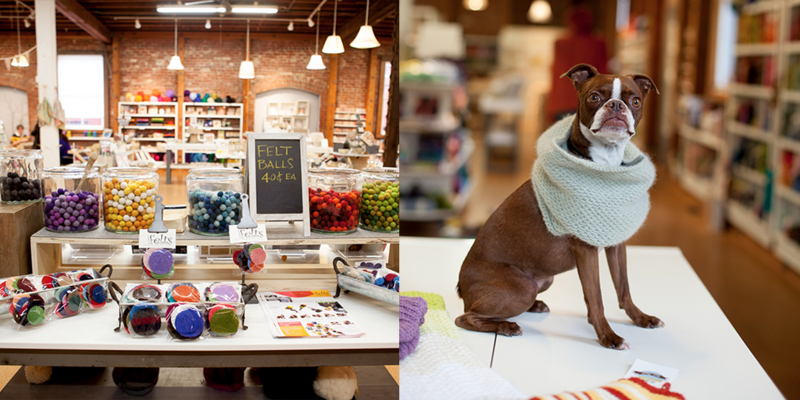 Maine definitely seems to be an amazing place for knitting and fiber arts. 🙂 I love living here. Interesting as always. I wish I wasn’t so far away from most of these places! I like to touch and feel the yarns I buy. 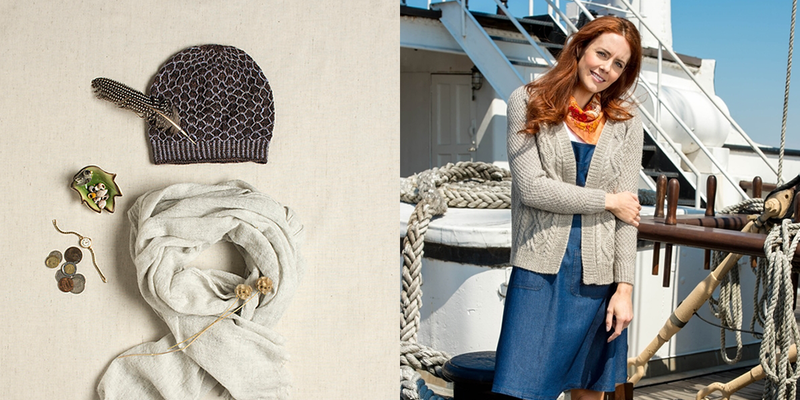 I have always wanted to knit with yarn from The Fibre Company! Loved hearing their story! Epesode 36? How can that be? I have listened to every one and each time it’s my new favorite. Oh yes, the story is everything. This one will linger on my mind for just a bit, how making certain choices of the heart gives us such courage. Oh that is so good. Loved hearing about her journey. Thanks for another lovely episode! Truly enjoyed learning about Daphne’s story! Loved this episode! It is always so inspiring to hear the stories of people who love what they do and how they got there. Thanks! Ohhhh, the Fiber Company! I love their yarns…they’re so yummy. I have a little accent scarf knit from Road to China, from back in the days when it had yak in it. When I wear it, I end up petting it all day long because it feels so wonderful…and happily, it holds up well to the incessant petting! Thanks for another great episode! Keep up the good work! I love your podcast. I find I learn something new each time I tune in. It’s the perfect accompaniment to my daily lunch-break walks. Keep up the amazing work! 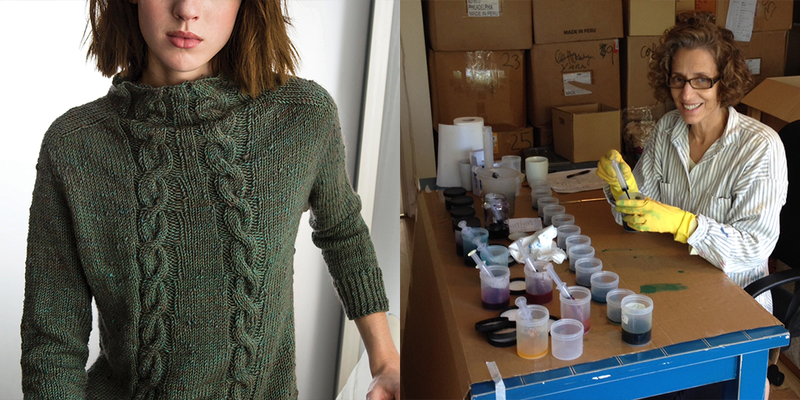 It was so nice to hear the story behind the yarn I’m knitting my sweater with! Loved hearing the story behind The Fibre Company and can’t wait to look for it at my local shops. Savannah looks deliciously tweedy. Another great episode! Thank you! Can’t believe how fantastic fiber folk can be! Love to hear it!